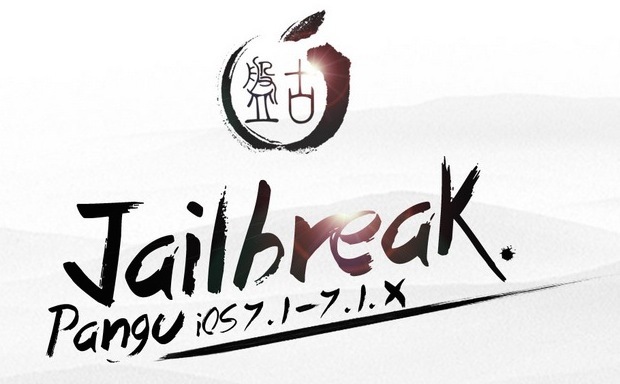 A new version of the Pangu jailbreak for iOS 7.1.1 and iOS 7.1.2 is now available on both Mac OS X and Windows. Versioned as Pangu 1.1.0, the update includes a bug fix to resolve a boot loop issue, and now has a complete English translation, making the jailbreak process considerably easier for users who do not read Chinese. The jailbreak remains untethered, meaning users do not need the assistance of a computer or application to reboot their devices. Pangu 1.1.0 supports jailbreaking iOS 7.1 and iOS 7.1.1, and iOS 7.1.2 on iPhone 5S, iPhone 5C, iPhone 5, iPhone 4S, iPad 2, iPad 3, iPad 4, iPad Air, iPad Mini, iPad Mini Retina, and iPod touch 5th gen. Users must have a Mac or Windows PC to run the jailbreak app from. Jailbreaking has the potential for risk, meaning the activity is generally best reserved for advanced users who have a compelling reason to jailbreak their iPhone and iPad devices. There are plenty of reasons not to jailbreak that are worth considering, and it should be reiterated that Apple does not support or sanction the activity, and it may interfere with your ability to service a device under warranty. Use the Pangu jailbreak at your own risk. Always back up a device to iTunes before attempting to jailbreak. Backing up allows you to restore and undo the jailbreak while maintaining your device data and personalizations. This is the first version of Pangu available to support jailbreaking iOS 7.1.1 devices from Mac OS X, while the prior version only supported Windows. If someone could help me out here, it would be highly appreciated. Please help. I have no idea how I can get the app to open. It also did the same thing when I left the app in the disk image instead of putting it on my desktop. I had the same issue, so I’ve downloaded the file from the official website itself, just click the ‘MAC’ button in the downloads page on the website. It worked for me this way. I don’t think jailbreaking is even “necessary” anymore. Most of the people I know who always jailbroke their iPhones say that the functions that they wanted to get from jailbreaking are already baked into iOS. I’ve never been an advocate of doing this since I need my iPhone to function perfectly ever day, and the hackers who wrote the jailbreaks aren’t going to replace my iPhone if something goes terribly wrong. I can at least count on Apple to support me if one of their iOS updates causes problems that can’t be solved by a restore. I tend to agree with you nowadays, iOS 7 and iOS 8 are both feature rich and have most of what we need built in, plus there’s no need to deal with the potential instability of having a jailbroken device. But to each their own, and many users still really do enjoy jailbreaking their iPhone and iPad to theme the icons and change up the user interface, amongst little other tweaks and additions… it can be fun to jailbreak if you have the time and persistence to maintain the experience, but for many of us it’s not worth the trade-offs any more. But once upon a time as you probably remember, we couldn’t even tether an iPhone without a jailbreak, so it’s certainly had it’s major benefits and usages! Is this can be use on iphone 4?